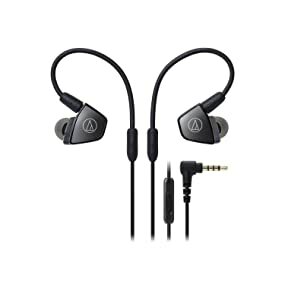 Featuring triple balanced armature drivers specially designed for the LS 'Live Sound' Series, the ATH-LS300iS in-ear headphones deliver clear, powerfully immersive sound. The combination of low-, mid- and high-frequency drivers within each housing produces well-balanced audio across an extended frequency range. The housings are constructed of rigid aluminum and tough Tritan resin to reduce unwanted resonance while also providing sleek, see-through styling. Specially designed acoustic sound pipes, fashioned from stainless steel and high-durability resin, are encased within the eartip posts, guiding music from the drivers to the listener’s ears with improved high-frequency response. The eartip posts are angled for a comfortable, sound-isolating fit. 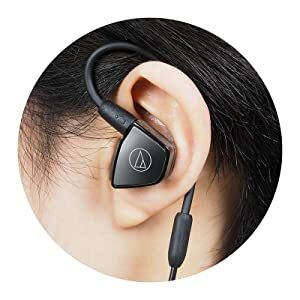 The ATH-LS300iS comes with a detachable 1.2 m (3.9') cable with A2DC (Audio Designed Detachable Coaxial) connectors at the headphones for exceptional durability and audio performance. 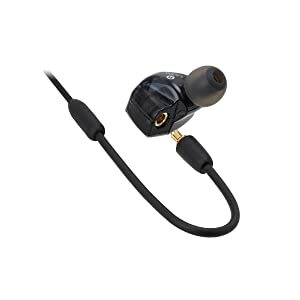 The cable is equipped with an in-line mic and controller for handling phone calls and music and video playback. The flexible memory cable loops around the ears for a custom fit that is enhanced by the four sizes (XS, S, M, L) of included eartips. Triple balanced armature drivers, specially designed for the Live Sound series and featuring individual low-, mid- and high-frequency drivers, produce a clear, powerfully immersive sound. 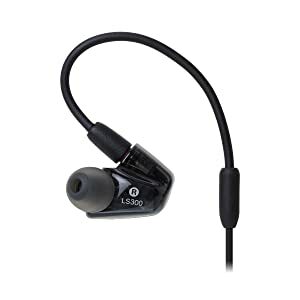 Featuring triple balanced armature drivers specially designed for the LS “Live Sound” Series, the ATH-LS300iS in-ear headphones deliver clear, powerfully immersive sound. The combination of low-, mid- and high-frequency drivers within each housing produces well-balanced audio across an extended frequency range.